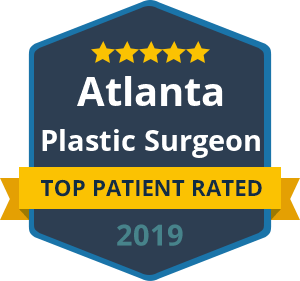 Dr. Ben Talei, a dual board certified facial plastic surgeon performs the most advanced and comprehensive deep plane facelift, providing natural and elegant results. For patients and physicians who are familiar with the variety of techniques used worldwide, they understand that this technique cannot be surpassed. Using an advanced deep plane release, Dr. Talei is able to more comprehensively and naturally rejuvenate the face. Although it may not be fully intuitive, when using the appropriate techniques, even the most significant and substantial changes in the face can appear very natural and unoperated on. This is the secret behind the deep plane facelift. By releasing all the tethering points in the face and performing a comprehensive deep plane release between the muscle layers, you can counteract the effects that gravity has incurred over the years. Since this technique involves release and repositioning as opposed to the suture pull typically used in the majority of other lifts, there are no opposing tension forces. Without a doubt, this provides a much longer lasting result without the scarring or irregularities potentially seen with other lifts. A commonly held belief is that volume loss is the main culprit behind hollowing and shadows seen in the face with aging. This is why many surgeons often use fat grafting in the face as a primary treatment modality. However, if you see the before and after photos of patients who have undergone a true deep plane facelift, you will see that this is rarely the case. In fact, only a small proportion of the population experience any clinically significant volume loss. Fat grafting is a wonderful non-surgical option to help rejuvenate the face, but it simply cannot match the results obtained using a deep plane lift. This lift rejuvenates the face and neck completely while maintaining an attractive, slender and elegant appearance. WHAT IS THE MOST COMMONLY PERFORMED FACELIFT IN THE COUNTRY? The most commonly performed facelift by far is a SMAS-plication type of lift. There are many variations to this procedure with hundreds of names used to describe them. However, the basic tenets remain the same. The most antiquated facelift techniques simply involved a skin elevation followed by pulling on the skin and removal of excess in order to help rid the face of wrinkles. This is where a facelift received the name rhytidectomy (removal of wrinkles). However, simply pulling on the skin did not prove to be very durable or useful. Scarring would often occur, along with many other stigmata associated with poor facelifting, including pixie ear deformities, loss of definition in front of the ear and hairline irregularities, among other issues. After some time, it became clear that a better technique was needed, and pulling on the skin alone would not suffice. To help improve durability of the procedure and the change obtained with a lift, surgeons began to employ a variety of SMAS-lifting techniques. This still involves a significant skin dissection but improves the effective change by pulling on the SMAS-platysma complex with sutures in most cases. The platysma is the muscle that drapes across the neck and lower half of the face and cheek transitioning to the SMAS (superficial musculo-aponeurotic system) on the upper half of the cheek. Pulling this layer provides more movement and fewer irregularities because all the tension is not left on the skin alone. SMAS-lifting techniques are the most commonly used by surgeons nationwide. What you must realize however is that different surgeons can get drastically disparate results using the similarly depicted procedures. The names used to describe these lifts vary greatly but typically include the terms “mini-lift,” “weekend lift,” and “natural lift” among others. Dr. Talei’s mini-lift is a limited deep plane lift, however. Many patients are confused by the term Lifestyle Lift, as it is the name of a company and not a lift. Still most surgeons working with this group appear to use SMAS-lifting techniques although the type of lift used is surgeon dependent. SMAS-lifting techniques are commonly combined with midline platysmal tightening techniques. This is a procedure performed through a hidden incision under the chin in order to further tighten the neck and improve results. These types of lifts, using SMAS movement techniques are wonderful for patients seeking a procedure with little downtime. The reason downtime is decreased somewhat is that the mid-face itself is not changed much, unless ancillary procedures are combined with the lift. For those patients undergoing facelifting procedures primarily to treat the neck and jawline, this is a very useful technique. Durability of the procedure also varies greatly from surgeon to surgeon. Most studies show that patients seeking a second procedure typically do so at around 8-10 years following the initial facelift. However, the majority of results obtained with this type of lift typically last around 3 years. Although, some surgeons can get substantially longer lasting and more impressive results with more advanced SMAS-lifting techniques. A deep plane facelift differs significantly from the more commonly used SMAS-lifting techniques. The main difference in outcomes are that deep plane lifts, when performed comprehensively, can provide much more natural and long-lasting results with less chance of scarring or complications. Although this was not the belief previously, several studies have now been published demonstrating this. The biggest difference is that this type of lift can actually achieve rejuvenating change in the midface without using fat grafting or implants. Like any other type of facelift, two surgeons using the same name for a lift may employ drastically different techniques and have very different outcomes. A deep plane lift typically requires more skill and training to be performed safely and properly, which is why it is a less commonly used technique nationwide. However, when performed by an expert, complication rates are the same or better than other techniques and are substantially more impressive. Instead of focusing on skin pulling and removal, a deep plane facelift focuses on the release and movement of muscle and fat layers. This is in order to replace these layers back to a more natural and youthful position. Similar to SMAS-lifting techniques, hidden minimal access incisions are made around the ear. The skin is elevated only slightly before diving under the SMAS-platysma complex in the “deep plane.” This term is used to describe the anatomical plane that exists between the SMAS-platysma complex (which is muscle and fascia) and the deeper layer of muscles responsible for facial expression. While some surgeons enter and release this layer only minimally, others perform a more comprehensive release. In order to obtain the most significant and natural change, the ligaments tethering this layer must be released from lateral to medial in order to achieve tension-free movement. This release allows the superior replacement of the cheeks and fat pads not seen with less demanding procedures. Moving the cheeks back to a more superior position immediately restores a more youthful and heart shaped appearance to the aging face. What’s even more impressive is that it significantly improves the hollowing and shadowing seen in the lower eyelids. This is by restoring volume where it was lost by descent associated with aging. There are very few surgeons who perform this technique and even fewer who perform a lateral release of the muscles in the neck as well. Releasing the tethering points in the lateral neck and elevating this layer provides much more significant rejuvenation and refinement of the neck and jawline with a longer lasting result. Some SMAS-lifting techniques can cause bunching and a loss of definition around the bottom of the ear and angle of the jaw. A deep plane release with platysmal repositioning will significantly improve this area and provide an immediate and attractive increase in definition. For males and females, this is the most durable and natural lift available for heavy necks and faces. Similar to SMAS-lifting techniques, the deep plane facelift can be combined with midline platystmal tightening procedures, which are performed through a hidden incision under the skin. When a deep plane lift is performed properly, a significant number of patients will not require any midline platysmal work. This is as opposed to the same type of patients undergoing SMAS-plication lifts. At the Beverly Hills Center for Plastic & Laser Surgery, Dr. Talei is able to perform a large variety of lifts, depending on the patient’s needs. With dual fellowship training in facial plastic and reconstructive surgery, he has obtained and refined the most advanced techniques. As a revision facelift specialist, his most impressive and utilized technique is the SMART lift, which is an advanced, extended deep plane face and neck lift. Ultimately, no matter what the lift is called or how the procedure is described, the only thing you can reliably evaluate to help select the most suitable surgeon for yourself are the results they achieve. Please visit our FACELIFT information page for more information to get tips on how to keenly evaluate a surgeon’s results and photos. You can also viewPatient Testimonials and Results on our review page.